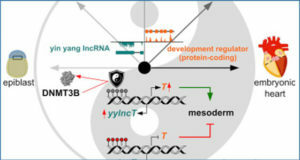 The majority of the human genome is transcribed and generates non-coding RNAs (ncRNAs) that fail to encode protein information. 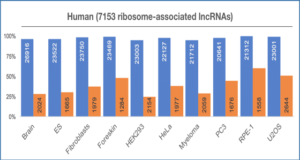 Long non-coding RNAs (lncRNAs) are emerging as a novel class of ncRNAs, but our knowledge about these ncRNAs is limited. 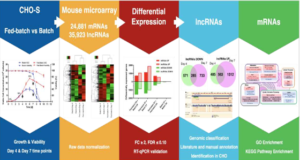 Previously, researchers at the Xi’an Jiaotong University, China had identified that a lncRNA, Urothelial cancer associated 1 (UCA1), played an important role in bladder cancer. 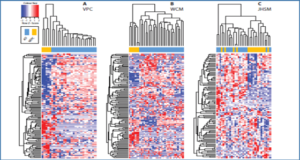 Despite the recent interest in UCA1 as a diagnostic marker for bladder cancer, little is known about its transcriptional regulation. To elucidate the regulation of UCA1 gene expression, they have characterized the human UCA1 gene promoter. A 2.0-kb fragment of its 5′ flanking region was cloned into a luciferase reporter vector. 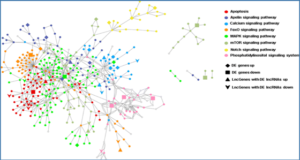 Deletion and mutation analysis suggested that an Ets-2 binding site was critical for UCA1 gene promoter activity. 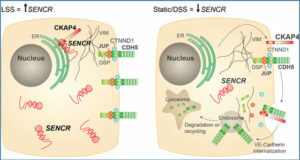 Further analysis of this site by gel shifting, chromatin immune precipitation (ChIP), and co-transfection experiments showed that transcription factor Ets-2 directly bound to the UCA1 promoter region and stimulated UCA1 promoter activity in bladder cancer cells. Taking into account the anti-apoptosis function of Ets-2, our data suggested that Ets-2 regulates apoptosis process by regulating the expression of UCA1, moreover UCA1 may be involved in the activation of Akt signaling pathway by Ets-2 in bladder cancer cells.